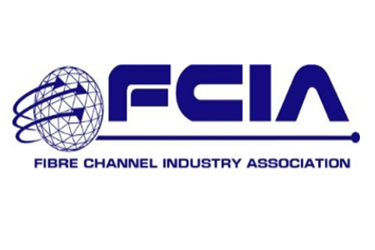 San Francisco, CA /PRNewswire/ - The Fibre Channel Industry Association (FCIA) today announced that the T11 Technical Committee made significant enhancements to the widely-adopted Fibre Channel Backbone - 5 (FC-BB-5) standard in order to foster converged storage network technologies such as Fibre Channel over Ethernet (FCoE). In December 2013, the FC-BB-6 working group finalized the FC-BB-6 standard, which complements and advances the existing FC-BB-5 standard, and forwarded the final specification to the InterNational Committee on Information Technology Standards (INCITS), for publication in Q3, 2014. "FC-BB-6 represents the ongoing evolution of the Fibre Channel technology to leverage ubiquitous datacenter resources such as Ethernet," said Dr. J Metz, FCIA Board of Directors. "As we move towards more creative and flexible solutions inside the datacenter this fosters the applicability of Fibre Channel as a protocol for deterministic storage requirements." Support for VN2VN Connectivity – The VN2VN functionality enables the establishment of direct point-to-point virtual links between nodes in an FCoE network. This enables simpler configurations for smaller environments. Zoning may be not needed in these network designs, resulting in lower complexity and cost. Support for Domain_ID Scalability – With FC-BB-6, FCoE fabrics can use Domain_IDs more efficiently, which enables larger converged network SANs. FC-BB-6 fully defines how to support the deployment of the Distributed Switch architecture (currently in the final stages of development in the T11 FC-SW-6 working group) over Ethernet. "Fibre Channel is a proven protocol for networked datacenter storage that just got better," said Greg Schulz, founder StorageIO. "The FC-BB-6 standard helps to unlock the full potential of the Fibre Channel protocol that can be implemented on traditional Fibre Channel as well as via Ethernet based networks. This means FC-BB-6 enabled Fibre Channel protocol based networks provide flexibility, scalability and secure high-performance resilient storage networks to be implemented." FCIA also recently launched a Knowledge Vault designed to be a resource for IT executives who are interested in learning more on how Fibre Channel can deliver greater business value. It's a great repository of professional videos and an assortment of collateral that reinforces why Fibre Channel is the purpose-built and proven network infrastructure for storage, engineered to meet the demands of today's enterprise data centers. FCIA members include manufacturers, system integrators, developers, vendors, industry professionals, and end users. Our member-led working groups and committees focus on creating and championing the Fibre Channel technology roadmaps, targeting applications that include data storage, video, networking, and storage area network (SAN) management. For more info, go to http://www.fibrechannel.org.